Technology progresses so fast nowadays that almost every day a group of scientists makes a revolutionary invention. It is being more and more used for medical purposes and it greatly helps people with physical disabilities and incurable illnesses to live a more comfortable life. There are cases when people, due to an illness or injury, lose the ability to walk or move certain parts of their bodies. Cerebral paralysis, multiple sclerosis, strokes, paraplegia, quadriplegia or amputated limb can prevent people from living a normal life. Most of them need an assistant by their side for the rest of their lives. The scientists all over the world work on the contemporary aids for disabled people and hope to make them more helpful than the traditional ones, such as wheelchair or canes. 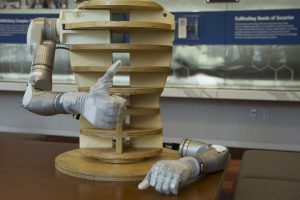 The research shows that it is better to use bionic exosuits than a wheelchair, because sitting permanently can result in grave medical complications, such as skin or digestion problems. The aim of making and using these suits is to help the people with disabilities become equal members of the society and live lives on their own. They enable paraplegics to stand and walk, quadriplegics to use their hands and fingers, multiple sclerosis patients to improve their posture and stroke survivors to move the specific body part that suffered a stroke. Most disabled people who cannot use their arms or hands cannot even perform everyday activities such as eating and drinking. The idea is to help them live a normal independent life. When a person experiences physical disabilities, a brain cannot help a body to move by sending signals through the spinal cord. In that case, the exosuit takes over. The patient controls the suit on their own since it adapts to the natural movements and pace of a patient wearing it. This suit uses electric motors and computer to navigate legs or arms of disabled people. The only problem with these suits is that once they are launched for usage, not every patient will be able to afford one for themselves because they will not be cheap. 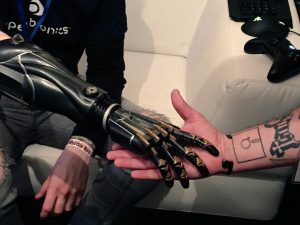 But, there is a possibility to make an agreement with insurance groups to allow the disabled person to use bionic exosuit instead of a wheelchair and improve quality of life for the equal amount of money. According to the newest tests, the idea is to make these suits out of a soft material, because the heavy suits cannot be appropriate for people who can in some measure walk on their own. They can restrict their moves and make them less natural. They should be flexible and light for wearing. Some medical facilities around the world already use these exosuits for therapies of their patients and they learn to walk again after the stroke or cerebral paralysis with the help of the assistants. These robotic suits are the future of helping disabled people escape their wheelchair and make moving and living a normal social life possible. Next page Next post: How Does AI Affect Our Lives?